Lets face it, if you are a Digital Entrepreneur and you are selling products or services online, you need to have your sales system set up and at least semi-automated. In addition, you need to make sure that you are creating amazing experiences for your customers so that they can get to know like and trust you! Without these two key pieces of the puzzle, your business is not likely to be successful. Digital Product – you need to create your digital product and this will need a Landing Page/Sales Page, Checkout Page and Thank you Page. I recommend using Thinkific or Teachable for hosting online courses. Make sure that your Checkout Page is optimised with reviews and your money back guarantee. Don’t forget to add an Upsell to your Thank You Page if you have one. Sales Page – you will need to create a sales page for your product. 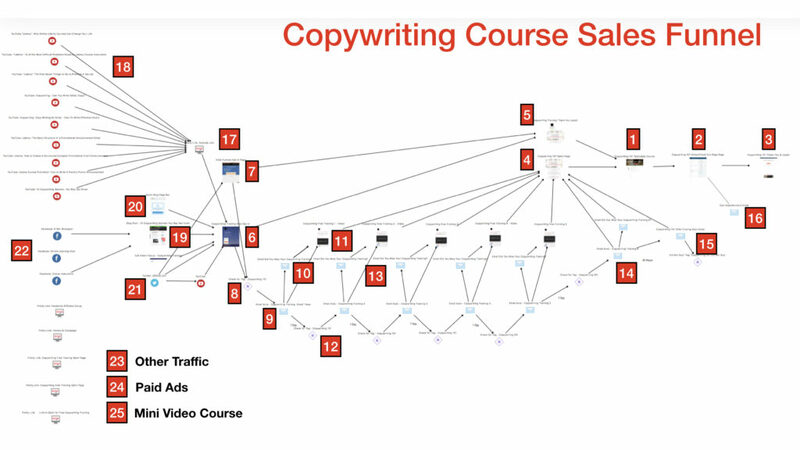 Ideally this will include a knock out video to wow your prospects. You should explain the benefits of your products, include reviews and testimonials where available and don’t forget to make your calls to action (at least one above the fold) very clear and easy to follow. I use Leadpages for my landing pages. Opt-in Thank You Page – once you have created your Sales Page, duplicate it and add some words of “Thanks for Opting In” at the top to turn your Opt-In Thank You Page into an Upsell Page at the same time. Opt-in Page – next you will need an Opt-in Page for your leads to join your email list. Think whether you really need their name or whether their email address is enough. If you are going to be offering something like free training, the chances of dud email addresses will be low, so consider missing out double opt-in for this step. 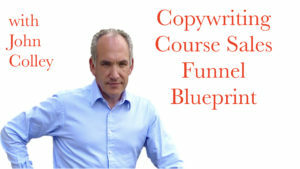 Upsells – when I deliver the free video content, of course, I am looking to upsell them to my paid Copywriting Course. These should be included whenever appropriate but don’t miss opportunities to enable your leads to upgrade to a paid product. Sales Page – once you have delivered your promised content, its time to pitch your audience on the paid product that you want them to purchase from you – for which you will need a Sales Page, which I created in Leadpages. This offer should be time limited and the email should be followed up shortly before the closing time with an “offer closing” email. Cart Abandonment – this sequence is important to capture that significant number of people who get to the course/product but don’t buy. Don’t forget to build one. We have not touched on Traffic sources which is the fuel that feeds the funnel. This can be organic or paid traffic but make sure you plan your campaigns, monitor their effectiveness and optimise them. Never be afraid to test to see if you can do something to improve your traffic campaigns as small improvements can add up to significant benefits over time. ← Udemy Instructors! Are You Making This Mistake?